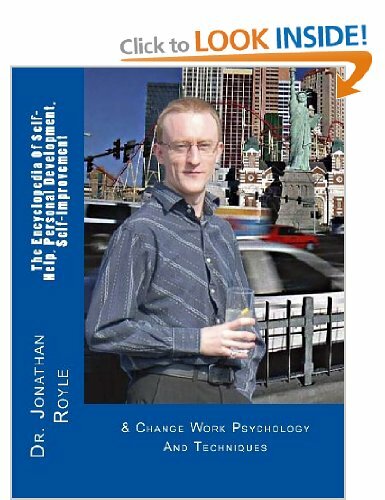 Rochdale Resident Releases LIFE CHANGING BOOK – “The Encyclopedia Of Self-Help, Personal Development, Self-Improvement: & Change Work Psychology And Techniques” by Alex William Smith aka Dr. Jonathan Royle Professional Hypnotherapist, Neuro Linguistic Programming NLP Advanced Master Practitioner, Life Coach, Certified Practitioner of The Speakmans (Nik & Eva) Trademarked Visual Coding Displacement Therapy (VCDT), Experienced Life Coach and Hypnosis, Hypnotherapist, Hypnotism Consultant and Trainer. CHANGE YOUR LIFE FOR THE BETTER…. A Massive Large Format A4 Encyclopedic Book of 470 Pages, making this arguably the Ultimate Self-Help Book on the Market. The Encyclopedia of Self-Help, Personal Development, Self Improvement and Change Work Psychology & Techniques is a massive large format (almost A4) invaluable resource of 470 information packed pages which could prove literally Life Changing in a Positive Manner for every Human Being on The Planet. You will discover how to Overcome Fears, Phobias, Habits and Addictions, How to Develop Super Power Self Confidence, Gain Masterful and Powerful Leadership and Communication Skills, train yourself to have a Super Power Memory and the ability of Speed Reading, Be able to Master Body Language and Hypnotic Persuasion, Command and Control Your Emotions and Much, Much More. Including of of course how to set Goals in the correct manner so that you have the best ever chance of your wildest dreams in life coming true and becoming 100% Total Reality. In Short this book will reveal to you literally 100’s of proven techniques, strategies and approaches to make Positive Changes in most every area of your life, both on a Personal, Business & Emotional Level. The teachings will also prove of equally immense use and value to Mind Therapists and Life Coaches to give them additional tools for helping their clients as they can and will to you the average man or woman on the street. Use these methods to unleash your inner Super Hero and become the best possible you that you could ever become. If you’ve ever desired to be Happier, More Relaxed and More Successful in all areas of your life then you owe it to yourself to study this potentially life changing manual. Its like a users guide for your Personal Neck Top Computer (Brain) and an operating manual for getting the absolute best out of all areas of life. It’s also available on Amazon Kindle! 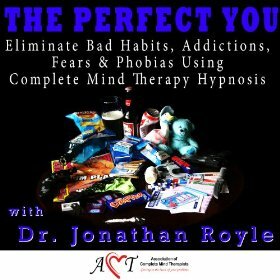 Dr. Jonathan Royle is regarded by many as one of the world’s leading experts and authorities in Personal Development, Self-Help, NLP, Hypnotherapy, Life Coaching and Related Subjects. He has trained with the majority of the worlds leading experts in most all approaches to helping people through mental powers, from NLP and Hypnotherapy through to being one of the few Mind Therapy Practitioners in the world who is Certified and qualified with a diploma in Visual Coding Displacement Therapy (VCDT) which he gained after training personally with Nik Speakman and Eva Speakman (The Speakmans) who created and trademarked the approach which they can often be seen on TV – Television shows such as ITV’s “This Morning” using to treat people. THIS IS ARGUABLY THE BIGGEST AND BEST VALUE SELF-HELP AND CHANGE YOUR LIFE BOOK ON THE MARKET TODAY.